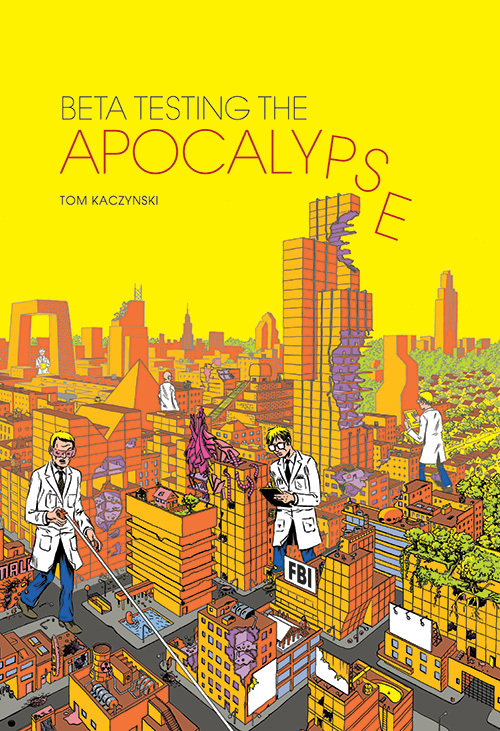 You’re invited to celebrate, with cartoonist / publisher Tom Kaczynski, the release of his book Beta Testing the Apocalypse (Fantagraphics) and the unveiling of the Uncivilized Books’ Five Year Plan. He also invited the entire Twin Cities Uncivilized Books artist roster. We know you won’t mind. 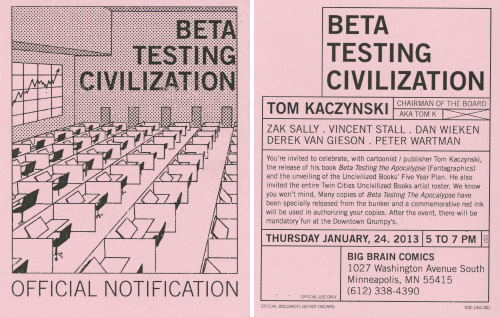 Many copies of Beta Testing The Apocalypse have been specially released from the bunker and a commemorative red ink will be used in authorizing your copies. After the event, there will be mandatory fun at the Downtown Grumpy’s.